In the hopes of utilising advanced tools to enhance resilience, a first-of-its kind project led by the University of Newcastle (UON) will explore Virtual Reality (VR) training as a new method to ensure Australian troops are equipped with resilience training ahead of deployment. The Minister for Defence Industry, the Hon Christopher Pyne MP, has announced $2.2 million for Associate Professors Rohan Walker and Eugene Nalivaiko, affiliates of the Hunter Medical Research Institute (HMRI), to develop enhanced resilience training through the use of VR technology. 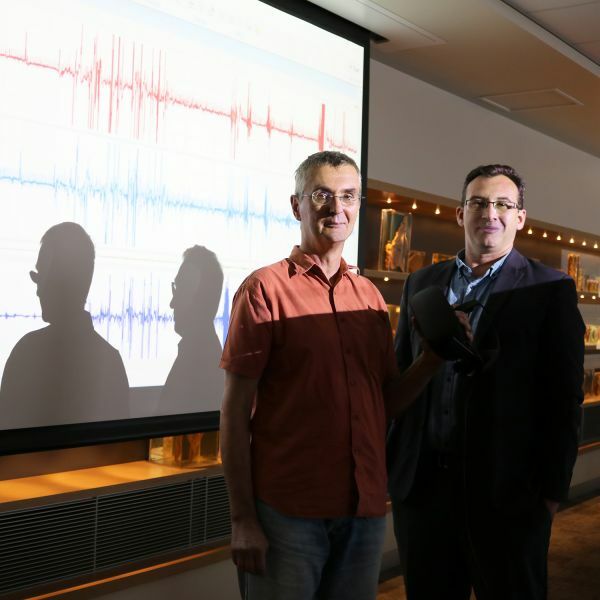 Funded by the Defence Science Technology Group (DSTG) and the Australian Army, their work will explore how stress changes the way the brain works and how we can better equip our troops to cope under duress. Having worked extensively with the Australian Army, Associate Professor Nalivaiko said psychological stress was a common occupational hazard in the military and often affects an individual’s performance. “What tends to be challenging is where difficult experiences are beyond the individual’s ability to control them. “It’s imperative our troops are forearmed with strategies to ensure they remain in control of the situation and are equipped with the skills to make a level-headed decision,” Associate Professor Nalivaiko said. Associate Professor Walker has vast experience investigating brain mechanisms which underpin individual differences in vulnerability to psychological stress. He added that there were two main factors at play to ensure performance under pressure. “Firstly, cognitive reframing, which involves identifying and then disputing irrational thoughts. Reframing is taking a step back and objectively looking at the scenario to find positive alternatives. “The second is tactical breathing. Although it may sound simple, breathing is key as it is the only thing we can regulate under pressure. “When you’re breathing properly, respiration and heartrate are controlled and you have high levels of cognitive flexibility to make better decisions,” Professor Walker said. Utilising new and innovative tools in virtual technology, the researchers hope their work will build on current training practices to contribute to a revolutionary training program. In partnership with the University of Southern California, the neuroscientists will design a simulated environment to replicate a real-world scenarios ADF personnel may experience. Through the use of a VR headset, participants will be exposed to realistic scenarios to train and test their resilience and ultimately improve their performance under pressure. “Part of the training process will be developing skills in tactical breathing that can be applied in a virtual, and subsequently, real-world environment. “The idea will be that trainees can master the skill in a measurable situation where we can control the difficulty of the task to ensure they’re prepared before moving to a real-world conflict situations,” Associate Professor Nalivaiko said. “The advantage of utilising VR in this way is that we’re providing an innovating, engaging and immersive experience which produces objectively verifiable results,” Associate Professor Walker added. Associate Professor Rohan Walker said combining biometrics and VR to develop improved testing resources would provide an invaluable method of collecting reliable data to ensure troops are ready and capable to perform their duties. “It can be difficult to test for cognitive resilience when subjects have to be the judge of their own ability. There can be multiple factors at play like being unsure of their own limits. “The benefits of utilising a virtual scenario test to simulate your response are huge, but one major factor is that we can provide an accurate picture of where a trainee is at in the testing and how well they have responded to the simulated scenarios. “Psychological education should be of paramount importance, and I am thrilled we have the opportunity to assist in enhancing resilience and ensuring Australian troops are at their best when working under pressure,” Professor Walker said.